"What’s the secret that separates superstars from everyone else, and why do they consistently outperform other salespeople? Fanatical Prospecting." Fanatical Prospecting is a guide for sales people, sales managers and organizational leaders on how to do the most important thing in business development – PROSPECT. 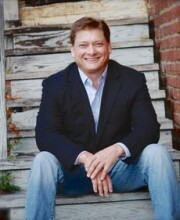 The author, Jeb Blount, is the Founder of SalesGravy.com, a sought after speaker, corporate consultant and also the author of several other books on sales and leadership. Throughout the book Jeb shares with us a framework for business development using the multiple prospecting methods available to sales people today: phone, email, social, texting and in-person. Through his experiences as a salesperson, sales leader and sales consultant, he paints a very clear picture of the common sales struggles that reps face and then provides a practical and tangible guide on how to overcome them. Fanatical Prospecting is a great resource for any sales professional to become (or maintain) their level of high production and superstar status! "There is no easy button in sales. Prospecting is hard, emotionally draining work, and it is the price you have to pay to earn a high income." So why write a book on prospecting? Well, for the most part, anyone who has a corporate job is directly impacted by the ability of your company to acquire business. If your sales people aren’t able to do that, the people in HR, accounting and IT are going to be out of a job. And as anyone that has been in sales for even for one day knows, the most difficult part of the sales process, without a doubt, is PROSPECTING! From his years of experience in sales the author says, “Lots of sales people possess the drive, talent and hunger to succeed. Lots of sales people have the intelligence, talent skills and education to be top performers. Yet they consistently underperform the superstars.” Why is that you ask? The number one reason sales professionals struggle or flat out fail is the inability to add qualified prospects and opportunities into their pipeline. Our ability, as sales professionals, to be great at prospecting, will afford us, our company and those that we work with the ability to provide for ourselves, families and others. "Prospecting is not for building relationships, selling or chatting up your buyer." "You must deliver results or you will be fired." The quote above is the harsh reality of the sales profession. The author says that “sales professionals are the elite athletes of the business world” and that’s exactly how we have to think of ourselves. Again, your company and the people that work there rely on you for their jobs and their paychecks and if over time you don’t produce for them, they will find someone who does. We have to make a concerted effort to relentlessly continue to get better at our craft. We have to keep our mental edge and attitude sharp, we have to keep learning and growing our knowledge base and our technique. The moment we get complacent, someone else is right on your coattail to steal your client or take your business. Sales is such a fun profession to be in. You have the opportunity to build relationships and work with great people, learn about different businesses and be rewarded for all of your hard work. It’s also one of the most difficult things to do in the world. Having a guide and resource like Fanatical Prospecting is such a strong asset for anyone in sales or leadership.